Scenario: A woman shows up claiming to be Conan Edogawa's mother, even though he technically is not supposed to have a mother. Conan is put to sleep and when he awakens, he overhears the woman and a masked man talking about the shrinking drugs and a planned murder. 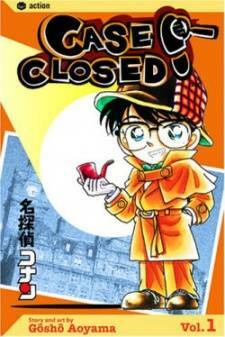 Conan fakes his escape by hiding in a wine cellar and follows them to a hotel where he caught by the masked man. 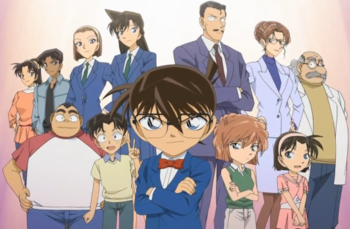 The man and the woman unmask themselves revealing they are Shinichi's real parents who played a trick on him so he would come with them overseas, but Conan refuses.